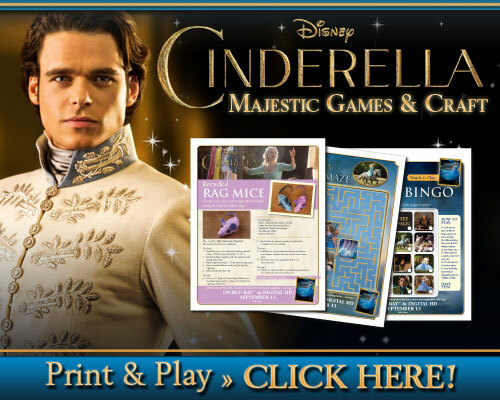 Have you seen Disney’s Cinderella? It is a beautiful live action movie with all the magic of Disney! Disney’s Cinderella is now available on Digital HD, Roku and Android TV are the newest devices that came on board with Disney Movies Anywhere, alongside iTunes, Google Play, Walmart’s VUDU, Amazon Video and Microsoft Movies & TV! Disney Movies Anywhere offers consumers even greater access to their digital collections of Disney, Disney•Pixar, Marvel and Star Wars movies at home and on the go. 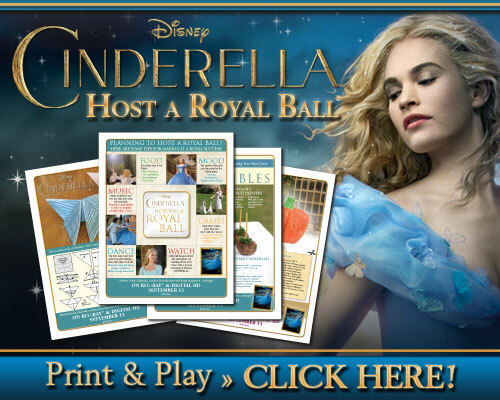 To celebrate, we have these fun activity sheets to help you host your very own Royal Ball with your family and friends as well as some new clips from the bonus material that are available on both Blu-ray and Disney Movies Anywhere!